8 AM-6 PM EST Mon-Fri, 8 AM-12 PM Sat. Very happy with "Presidio". Discreet, accommodating, on time, professional and courteous. Mr. Wilford and Mr. Brady did everything they said they would. Can't ask for more! I would/will recommend "Presidio". I would highly recommend Presidio. They are extremely responsive and knowledgeable and wonderful to deal with. They have relationships with others in the business in case other options are needed. I give them a 5 star rating! From professional honest and fair. They came out and took care of a very bad bedbug infestation and didn't quit till it was 100% taken care of I couldn't be more happy with their job I reccomend to anyone looking for any kind of pest problems these are the guys and gals for the job 😉. Great company. Consistently good service and the people are professional and easy to deal with. I highly recommend this company. Very professional, friendly and informative. Would highly recommend to anyone. This company is thorough with the complete process. Start to finish. The owner and the employees are incredible! Compassionate, understanding and very knowledgeable. Any questions I have had are answered promptly and efficiently. Our exterminator professional Matt has been courteous, prompt as well as knowledgeable. We are pleased with Presidio and their services in helping our family with bed bug extermination. Their management and staff were friendly and willing to answer questions whenever we had them. They were quickly available for inspection and treatment. We recommend Presidio to anybody who faces the battle with these pests. This company was extremely helpful very caring and took the time to talk to me and explain everything. I would definitely recommend them. They care about you and your situation. Bob and his team of amazing techs were incredible. They are all professional and very nice individuals. Bob came out for the inspection and explained everything to me, from the problems to the solutions. He was honest and extremely knowledgeable about bed bugs. The day of the treatment the team did a fabulous job in the our home. They really put their knowledge to work. It was awesome because I got to see their equipment and they explained their entire process to me. I hope I never have to work with them again but it was a pleasure to do so! I will highly recommend them to anyone! Thank you guys!! Great people! Knowledgeable and affordable. As good of an experience you can have with a pest problem lol. 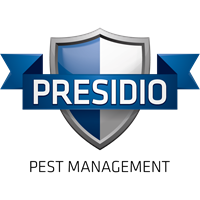 I recommend Presidio for any pest control situation, mine was with bed bugs and I hired other companies and spent lots of money and dealt with the situation for 8 months. Presidio came in and clearly explained their process, executed it with ease and perfection. I’ve never seen service people work so hard. Thank you for solving my problem and saving my sanity, Presidio. Bobby was great ! He looked all threw our home and showed me different areas that could be the source of our problem !! Very professional and nice . Great customer service!!! Awesome employees!!! Highly recommend. Bobby and Matt were very professional, thorough and attentive! Finding the root of the problem and taking care of it! Excited to use their services! I had a flea problem in my home this company answered all my questiions very professional explained in detail what to expect on the treatment process and how and what would happen bob was very kind and respectful at our home would definitely recommend this wow company. Sincerely Deanna Craddock in Hazel Park Mi. Excellent, superior service that annihilated my problems instantly! I would recommend Presidio and President Bobby to the Queen Elizabeth if needed! Bob and his techs were responsive, thorough, professional and most importantly reassuring with knowledge about bed bugs, their behavior and options to tackle the problem. We chose the heat treatment combined with the chemical follow-through. I would use, refer and sing the team’s praises! Bob and his team are the best! He made our bed bug situation feel like it would be taken care of right from the start. He kept us informed throughout the whole process and let us know we could contact him with any questions. Our bed bugs are gone and our trust in his company is priceless. I’m very happy with your service and the employee that did the job. He was so nice and made sure he explained the process. We feel so much better. Thank you. Wonderful customer service. They are always on time and answered all my questions. Excellent service. Great people that work for the company. I highly recommend. Love them! We were In Florida and had a minute 100 bees in our home. Our eldest child let them in but Bobby handled right away. The best customer service I've ever had. Don't worry using this company. You will be satisfied. The staff was very pleasant to work with. I'm happy with the service I received. Always good dependable service and treatments.